Once again HCL has launched its another exciting product HCL ME Connect 3G 2.0 Y4 it seems that HCL is completely dedicated to make its stand in the tablet market in India by launching its latest tablet HCL ME Connect 3G 2.0 Y4. It’s a dual sim, voice calling as well as video calling is also possible using the 0.3 MP front camera with 3G support. HCL ME Connect 3G 2.0 Y4 best price is 6,990. 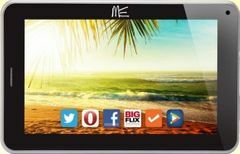 And following are the HCL ME Connect V3 Tab specifications and review. About its hardware, it has 1200 MHz dual-core processor, ensuring great performance under moderate workload, paired with 1 GB of RAM. Internal memory is decent at 8 GB, and can be expanded, using micro SD card, up to 32 GB. A decent 3500 mAh battery takes care of the power needs of the device. About design of HCL ME Connect 3G 2.0 Y4 it has a great design with 3.5 mm audio jack, micro usb port, screen lock button and the volume keys which makes it a beautiful device. HCL ME Connect 3G 2.0 Y4 Tab runs on Android OS, v4.1.2 (Jelly Bean). This version of Android is non-upgradable. Higher Android versions are available in the same price range in HCL ME Connect V3, Micromax Canvas Tab. HCL ME Connect 3G 2.0 Y4 includes Bluetooth, Wi-Fi, dual sim support and video calling with 3G support. HCL ME Connect 3G 2.0 Y4 Tab sports a 3.2 MP primary camera with digital zoom and has no flash to strike the light when required, which makes it a con. Daylight pictures are fine and miss out on finer details. The VGA front camera is just 0.3 MP it’s just a choice over nothing as its existence doesn’t really count. The 7 inch display of the tablet is a TFT display with a resolution of 600x1024 pixels and a capacitive touchscreen. The display is not the best in its segment and will face tough resistance from its rivals like HP 7 plus Tablet. HCL ME Connect 3G 2.0 Y4 Tab online price in India is around 6,990. For detailed HCL ME Connect 3G 2.0 Y4 Tab online price comparison, have a look at various online shopping websites. Dual core processor and the low internal storage can make things really slow for the device. The processing speeds are not very good, though multitasking experience is an average level. The device overall is not the best option in its price. Some others tab of this range like HCL ME Connect V3, Micromax Canvas Tab and Samsung Kies Galaxy Tab are worth comparing with HCL ME Connect 3G 2.0 Y4 Tab. You must check those out, if you are planning to buy one.